A great many people rightfully find the “make your energy bars at home” trend both unnecessary and incomprehensible. Why spending (read this as wasting) time making like 100 bars when you can just buy the one you want in a easy-to-carry single-serving package? But I believe that there’s a time and place for everything and for me that time and place (currently trying to save a few bucks) is right now. Among all energy bars Lärabars have to be my fave, they are one of those things that I love to snack on. They are tasty and healthy, but they are expensive. Unless they're either on sale, if I have a coupon (never happened) or if I buy them in bulk (again, never happened). The cool thing about making Lärabar at home is that they’re super easy to make. Easier than any other granola/cereal/protein bar. There’s no melting, no cooking, no baking, no waiting, no nothing. You put everything in the food processor (or blender) pulse a couple of times and voilà homemade Lärabars. As you will notice the ingredients list is remarkably short but somehow their sum is greater than their parts. I decided to shape these bars into balls because it’s easier. But do as you like, I won't judge you. These Homemade Blueberry Muffin Lärabars Bars are soft and chewy as real Lärabars are. Remember that these are energy bars meaning that they are nutritious, substantial, and they stick with you. 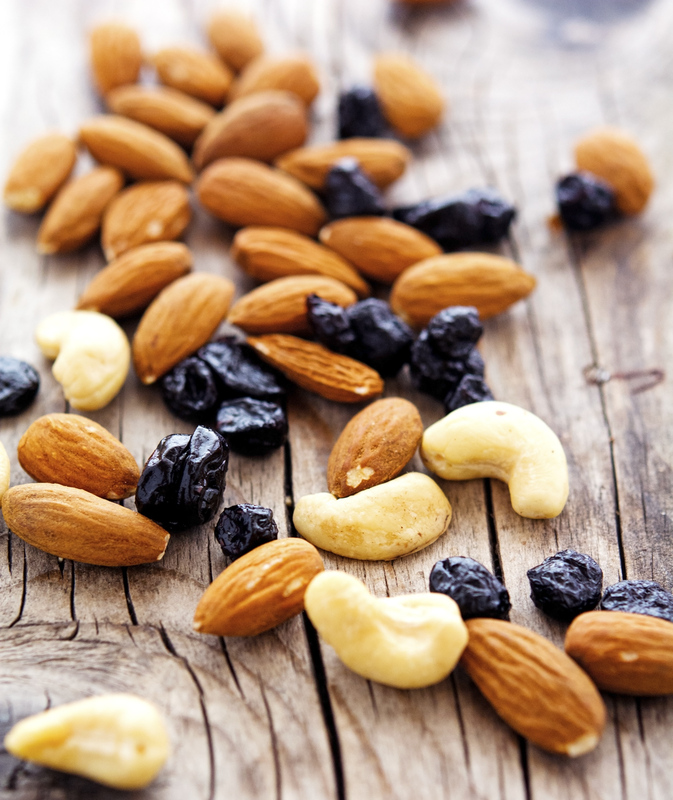 Eating a wad of nuts and dates isn’t like putting a handful of blueberries in your mouth! Homemade Blueberry Muffin Lärabar Balls Print this recipe! Place cashews and almonds in the bowl of a food processor. Pulse until chopped into small pieces. Transfer to a bowl and set aside. Place chopped dates in the food processor and pulse until a thick paste forms. If the dates are too dry add some water, 1 teaspoon at a time. Add in chopped nuts, dried blueberries, vanilla seeds, lemon juice, and salt. Pulse until everything is combined. You might need to stop the food processor a couple of times and scrape the sides of the bowl with a rubber spatula. 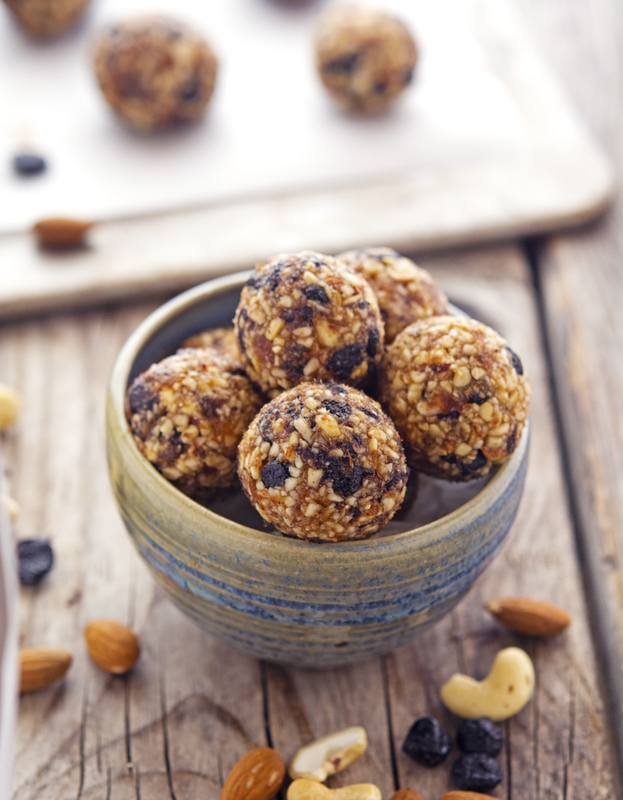 Scoop one tablespoon of mixture and using your hands, form into balls. 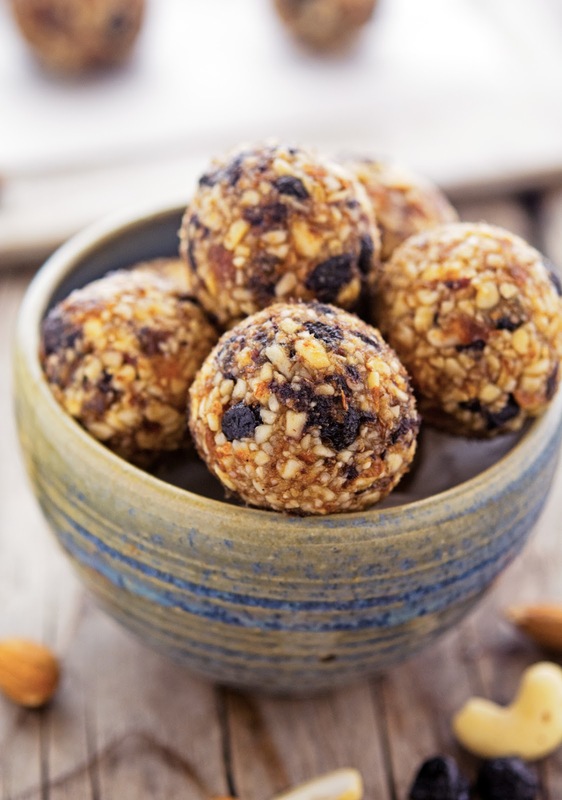 The balls should last for a couple weeks at room temperature, but store them in an airtight container in the refrigerator or freezer for prolonged shelf life. 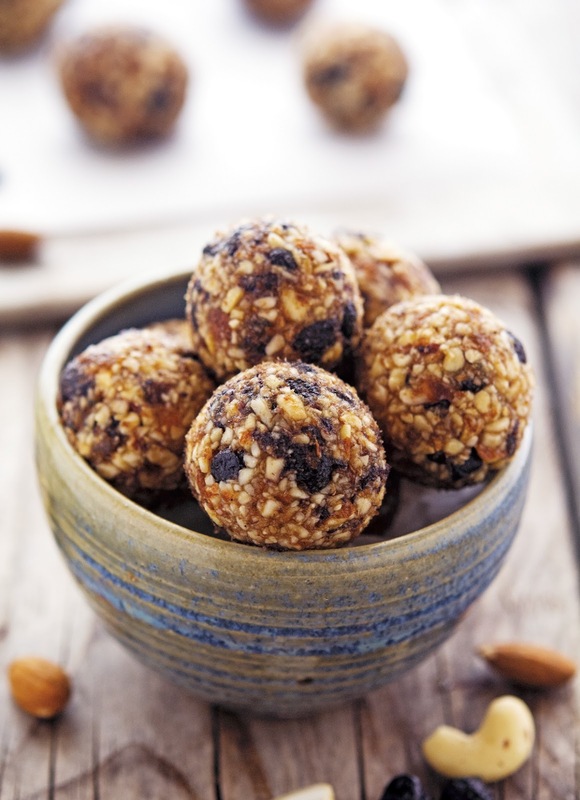 One ball yields 135 calories, 6 grams of fat, 19 grams of carbs, and 3 grams of protein. Thanks for helping us save for our Tesla's! I actually have all of the ingredients minus the blueberries so I know what I'll be doing tomorrow! If you make 'em, please report back! I mourned the day Larabar discontinued their ginger snap bar! This sounds yummy. I might also try it with other dried fruits for those long bike rides. I loved the ginger snap flavor too, it might be worth trying recreating it. Don't you think? Mike - loving the sound of these! Seriously awesmazing and big time budget-friendly, my friend! BTW Happy Monday! I like KIND bars too but some are way too sweet for me. I'm definitely more of a Larabar guy! These little bites sound wonderful!! Love the dried blueberries in there! These bites are perfection! as much as I love larabars, they are too expensive and can easily be made a home! LOVE how simple this is! And really easy to cut in half--I have a mini food processor so it probably can't handle the full batch. Don't forget all the wasteful packaging those bars use. I'd much rather put a few of these in a mason jar & go. I'm definitely going to be making a batch of these. I must live in a cave as I have not heard of these Lärabars that you speak of. I make things like this all the time, heck you can freeze them or halve the recipe, right? Makes sense to me. BTW, just for kicks, drove a Tesla last month. It’s insane to drive at 85mph down the highway hands free AND change lanes. I was amazed, but freaked at the same time. Love that you rolled these into balls as opposed to making bars! I made these yesterday and they are super yummy! Ate a few after teaching 2 barbell classes today and they totally hit the spot. Thanks!! That's awesome, I'm so glad you liked 'em that much! Made these today and they are even better than I hoped. I mixed up the nuts based on what I had in the house (walnuts and mixed nuts) and they still came out great. Tesla, here I come! Thanks! I am so thrilled to have found your site. My family and I changed our eating habits two weeks ago to vegan and I am loving all the recipes you have posted here. Thanks for doing this and can't wait to try your recipes out. These little bites sound wonderful! !